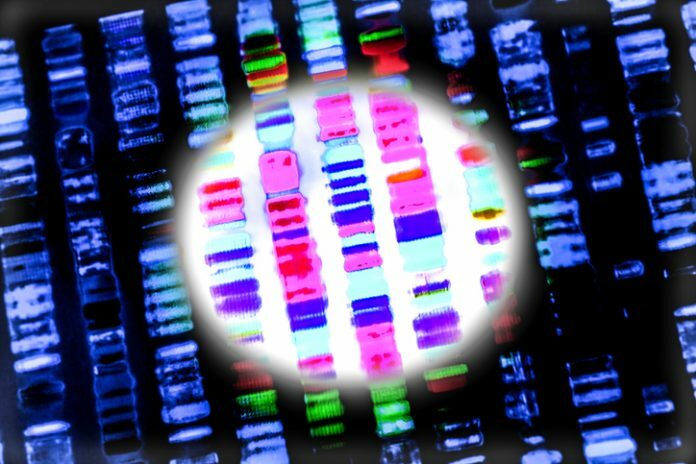 Scientists at The Institute of Cancer Research, London (U.K.) have used a high-throughput genetic analysis technique known as Capture Hi-C (CHi-C) to link 110 genes with an increased risk of breast cancer. The high-resolution technique can identify how regulatory genetic elements physically interact with distant protein-coding genes, even when separated by megabases (Mb) of DNA. The ICR researchers used CHi-C to analyze 63 genome regions that previous genome-wide association studies (GWAS) had linked with breast cancer. Among the 110 genes identified using CHi-C, 32 were subsequently linked with breast cancer survival. Prior GWAS, large-scale replication studies, and fine-mapping studies have identified about 100 breast cancer loci, the researchers write. Within these regions, most of the risk-related single-nucleotide polymorphisms (SNPs) have been mapped to nonprotein-coding regions of the genome, and are thought to play a role in regulating gene transcription. Other sites of interest are within regions of the genome known as gene deserts, which may be hundreds of kilobases away from the nearest known protein-coding gene. Figuring out which genes are responsible for increased risk is challenging because genes and their regulatory elements may be distant from each other and only interact when the DNA loops to allow the sites to interact. The ICR researchers developed the high-throughput, high-resolution Capture Hi-C technique to identify the physical interactions between regulatory elements and their target genes, however far apart they are. They applied the technique to analyze the 63 genetic loci previously linked with breast cancer. The results of CHi-C analysis in breast cancer cells and normal cells identified 110 putative target genes in 33 loci, including 94 protein-coding genes and 16 noncoding RNAs. No specific genes were identified in the remaining 30 gene regions. Previous studies have suggested a role for 14 of the 110 genes—including the estrogen receptor gene ESR1—in breast cancer risk, but most of the genes identified using CHi-C had not been associated with breast cancer risk before. One of those identified, FADD, has previously been linked to head and neck cancer and lung cancer. The team evaluated their results in the context of three publicly available breast cancer data sources, to determine whether the genes identified using CHi-C might have a causal role in breast cancer. They found that 32 of the 97 CHi-C genes for which patient data were available were associated with survival in estrogen-receptor positive (ER+) disease, although none were linked with survival in ER– disease.